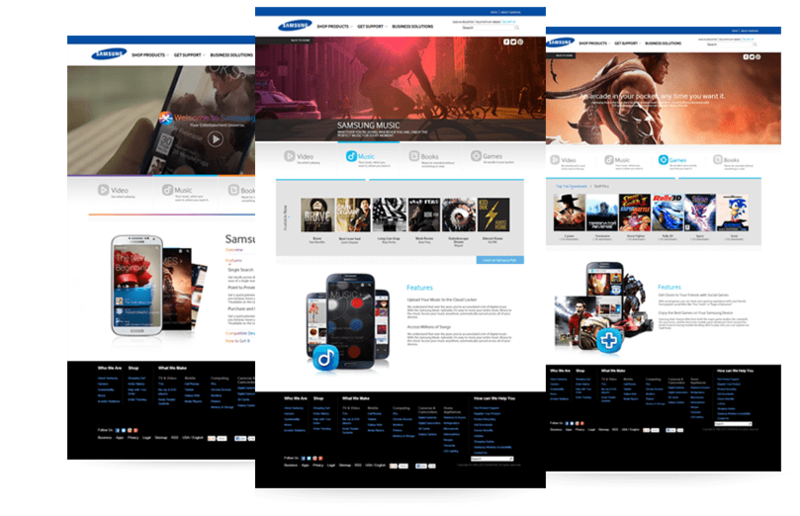 We've partnered with Samsung to create their HUB portal for the US which showcases and sells content such as books, music, games, and videos to be consumed on Samsung mobile devices. The strategy behind the project include client acquisition and awareness, user retention and asset creation. The website was to build a portal that will not only display all types of content for consumers but also differentiate itself from other content stores. 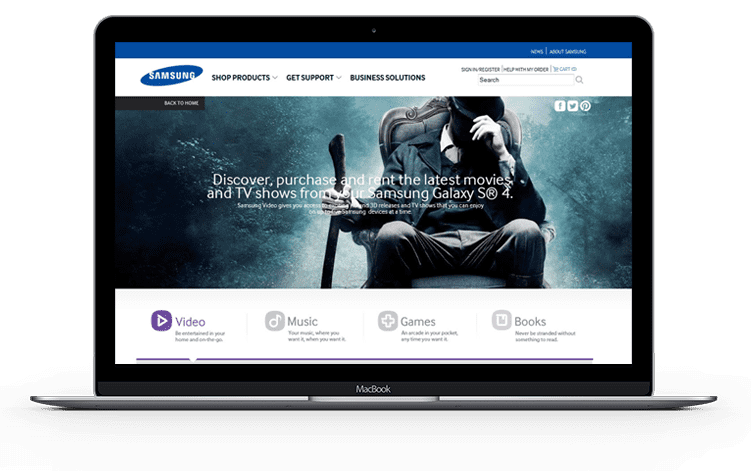 For this we built a portal that showcased featured content with specific landing pages promoting new content or top tiers content, featured deals and the last news on the Samsung Store Library. With the strategy in place the audience was increased in 300% in the first quarter the retention rate was double on 6 months and the sales were 140% higher.